THE COMPACT SUV THAT DELIVERS. The Urban Edition model line packs a wealth of exceptional styling, with 18" alloys, LED high performance headlamps and Night package. For the best ride experience in the city and beyond, it's also equipped with off-road comfort suspension. Terms and Conditions: Official government fuel consumption figures in mpg (litres per 100km) for the Mercedes-Benz Range: combined 17.7(16.0)-201.8(1.4). CO2 emissions* from 325-41 g/km. The indicated values were determined according to the prescribed measurement method - Worldwide Harmonised Light Vehicle Test Procedure (WLTP). Figures shown may include options which are not available in the UK. CO2 figures have been converted into NEDC-equivalent values for use with the current VED and BIK tax legislation. Figures shown are for comparability purposes; only compare with other cars tested to the same technical procedures. Figures may not reflect real life driving results, which will depend upon a number of factors including the starting charge of the battery [a][b], factory fitted options, accessories fitted (post registration), variations in weather, driving styles and vehicle load. Further information about the test used to establish fuel consumption and CO2 figures can be found at www.mercedes-benz.co.uk/WLTP. 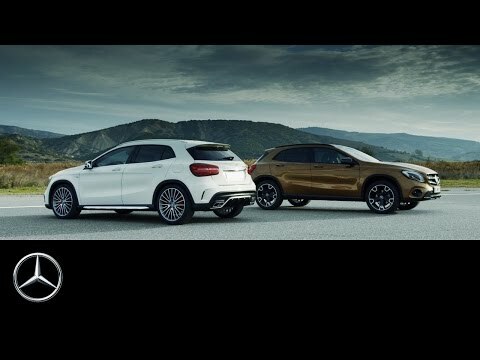 * Finance offer based on a Mercedes-Benz Agility agreement. Vehicle condition, excess mileage and other charges may be payable. Guarantees may be required. ** Payable if you exercise the option to purchase the car. *^ Includes optional purchase payment, purchase activation fee and retailer deposit contribution (where applicable). Orders/credit approvals on models only between 1 April and 30 June 2019, registered by 30 September 2019, excluding Mercedes-AMG models. Guarantees may be required. Offer cannot be used in conjunction with any other offer. Some combinations of features/options may not be available. Please contact your Retailer for availability. Over 18s only. Credit provided subject to status by Mercedes-Benz Finance, MK15 8BA. Prices based on Model Year 19, correct at time of going to press 4/19.